Welcome to Bali. On Arrival in Bali You Will Be Greeted By Your Friendly Thomas Cook Tour Manager / Local Representative Outside the Baggage Hall Area At the Airport. in the Afternoon, Check Into Your Hotel and Relax. the Rest of the Day is Free At Leisure. in the Evening Proceed for Dinner At An Indian Restaurant. 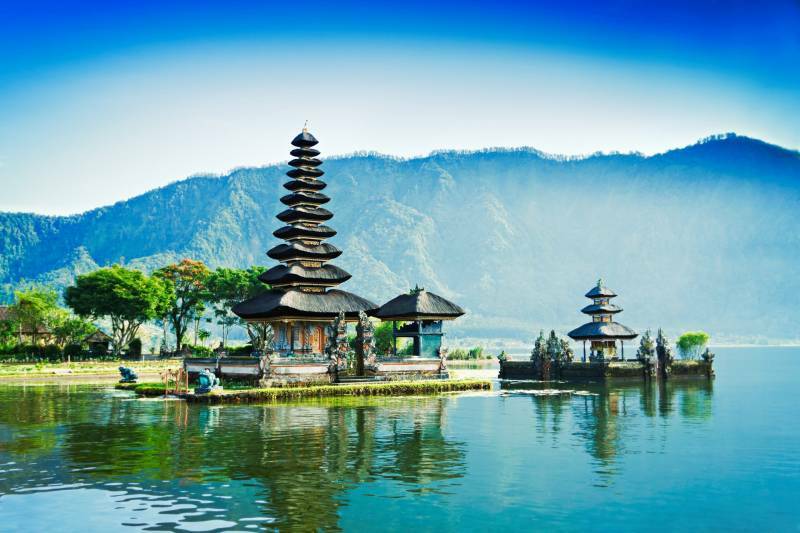 Day 2: Enjoy Full Day Kintamani & Ubud Village Tour. Today After An American Breakfast Proceed for a Full Day Tour of Kintamani & Ubud Village. the Highlight of this Tour is the Magnificent View of Mount and Lake Batur with the Smoky Agung Volcano in the Background. 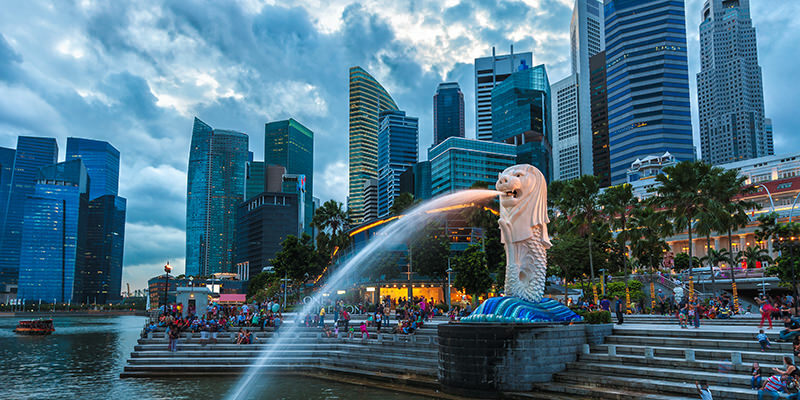 Enroute Stops At Singapadu Village to See the Barong & Keris Dance Performance, Celuk the Center of Gold and Silver Works, Mas the Center of Woodcarvings, Ubud the Center of Balinese Paintings, Goa Gajah (elephant Cave) and the Holy Springs of Tirta Empul At Tampaksiring. Later Drive Back to Hotel in Bali. Enjoy Dinner At An Indian Restaurant. Day 3: Visit Monkey Forest and Tanah Lot Temple, in the Evening Relax On a Sunset Dinner Cruise. Today After An American Breakfast, Morning is At Leisure. Later in the Afternoon Proceed to Visit the Monkey Forest, Get Acquainted with the Playful Monkeys that Reside in the Sacred Monkey Forest, These Monkeys are Believed to Be Holy Guardians of the Temple Dalem Agung, Which is a Bali Hindu Temple Located in the Middle of the Forest. Afterwards Proceed to Tanah Lot, Built On the Rock with 3 Acre Size and Reachable in a Few Minute By Walk. in the Evening Sail Over the Shimmering Seas Surrounding Bali On An Enchanting 3-hour Sunset Dinner Cruise. Admire Spectacular Views of the Benoa Coast and Harbor as the Setting Sun Casts An Incandescent Glow Over the Water. Enjoy Delicious Dinner On Board the Cruise. Day 4: Fly to Singapore. in the Evening Opt for Night Safari. Today After An American Breakfast Check Out from Hotel and Proceed to Airport to Board the Flight to Singapore. On Arrival in Singapore Proceed to Hotel, Check in and Relax. in the Evening You have a Chance to Enjoy the Night Safari. Night Safari is the World’s First Safari Park for Nocturnal Animals. It Has Over 2,500 Animals in Their Naturalistic Night Time Habitats. the Star of the Night Safari Experience is a Guided Tram Ride that Takes You Across 7 Geographical Zones of the World. from the Rugged Himalayan Foothills to the Swampy Banks of the Asian Riverine Forest and More, Your Tram Guide Will Share Fascinating Facts and Tales About the Animals and Habitats Along Your Journey. Later Proceed for Dinner At An Indian Restaurant. Today After An American Breakfast Proceed On An Exciting Panoramic Tour of this Colonial City. Drive Past the Parliament House, Supreme Court, City Hall, China Town and Little India.stop At Raffles Landing Site – One of the Most Historical Sites. Post Lunch, Proceed to the Sentosa Island for a Funfilled Afternoon. Today You Will Experience One of the Highlights of Your Tour, One Way Sentosa Cable Car. Visit the Under Water World Oceanarium Where You Can Venture Into the Ocean Depths Via a Moving Travellator – a 83-metre-long Acrylic Tunnel. also Enjoy Tea/coffee as You Experience the Dolphin Show in the Special Area Exclusive for Thomas Cook. Later, Prepare to Be Spellbound By ‘wings of the Time’ - a Show of Characters, Sound, Light and Laser Extravaganza. Tonight, Enjoy a Delicious Dinner At a Local Indian Restaurant. Today after an American breakfast at your hotel, you have a chance to spend time at your own pace by exploring the city on your own OR you have a chance of life time to spend the entire day at the Universal Studios. Step into the fantastic world of movie magic; fight villains, catch the celebrities and revel in the glamour of showbiz as you jump into the screen and “ride the movies” on roller coasters and other movie themed attractions. Exciting loops, sudden turns, breathtaking drops and thrilling near collisions will make you scream your heart out. Tonight, enjoy a delicious dinner at a local Indian restaurant. Sentosa Island with Underwater World, Dolphin Lagoon and Wings of Time. • For INR Invoice, add Rs 1.00 on ROE (please refer to www.XE.com) • Applicable Bank Charges @ SGD 30 Per Booking For Remittance Charges • Above Is Quote Only, No Reservation Made Yet Rates And Rooms Are Always Subject To Availability At The Time Confirmation. •Hotel Rooms And Rates Are Subject To Availability At The Time Of Booking •Quotation Would Be Revised In Case Of Any Change In The Package Requirement •The Rates Do Not Include Any Surcharges (If Applicable) •River Safari, Singapore Zoo And Full Day Sentosa Tour Are No Longer Operated On SIC Basis •Cruise Transfers To/From Marina Bay Cruise Centre (Arrival Hall) Will Operate Only On Private Basis •Maximum Waiting Time At The Airport Shall Be 75 Minutes From The Touchdown Of The Flight •From 2300 Hours - 0700 Hours SIC Arrival / Departure Transfers Are Not Applicable And There Shall Be An Additional Supplement/Surcharge Of SGD 15 Per Person Per Way On Private Basis •Rates For Marina Bay Sands Are Dynamic & May Change At The Time Of Confirmation. Also, Extra Bed Is Always Subject To Availability At The Time Of Check-In. •Universal Studios Express Pass & Unlimited Express Pass, Both Tickets Are Not Available For Travel Agents From 03rd Apr’17 Onwards. This Will Be Available For ON-SITE (Ticketing Counter) Purchase Only. • Train Tickets & Coach Tickets & Ferry Tickets Are Non-Changeable & Non-Refundable Once Purchased And Must Be Guaranteed For Payment, Prepayment Agents To Take Note That We Would Only Purchase These Tickets Upon Receiving The Money And The Same Would Be Subject To Availability At The Time Of Payment Received. • Transfers & Tours Would Be According To The Itinerary Provided And Not The Service Vouchers Issued At Your End. IMPORTANT NOTE: Any Special Request Such As Adjacent Rooms, Interconnecting Rooms, Room on the Same Floor, 1 King Size / 1 Double Bed, Early Check In, Late Check Out, Non/Smoking Room, Etc. Is Subject To Availability upon Check-In Of the Guest and Is At the Hotel's Discretion. We Will Request This For You As Priority. CLOUD FOREST CLOSURE DATES: 14 Jan, 11 Feb, 04 Mar, 08 Apr, 27 May, 24 Jun, 22 Jul, 26 Aug, 23 Sep, 14 Oct, 11 Nov and 09 Dec'19 FLOWER DOME CLOSURE DATES: 15 Jan, 12 Feb, 05 Mar, 09 Apr, 28 May, 25 Jun, 23 Jul, 27 Aug, 24 Sep, 15 Oct, 12 Nov and 10 Dec'19 OCBC SKYWAY CLOSURE DATES: 07 Jan, 18 Feb, 11 Mar, 15 Apr, 13 May, 10 Jun, 08 Jul, 05 Aug, 09 Sep, 07 Oct, 04 Nov and 02 Dec'19 TRANSFERS • SIC means SEAT IN COACH – you will be provided a seat in a coach where other passengers will be travelling along with you. SIC will have fixed timings which have to be strictly followed as there are other passengers in the coach. Also since the coach will collect other passengers from different, you may have to wait for 10 - 15 minutes for the pick- up. If you miss the coach for the sightseeing or the service will be considered as NO SHOW and non-refundable. • Private transfer’s means a separate vehicle with / without guide, for that particular sightseeing or transfer. Private transfers doesn’t mean car at disposal, just like SIC this will again be following fixed timings and if you are not present in time the same will be considered as a no show and is non-refundable. You will be taken directly to and from your accommodation without any detour. •The schedule for all sightseeing tours are indicative and the exact date for the same will be reconfirmed when we give the final itinerary at the time of handover.